How can doctors get more face-to-face time with their patients? How can healthcare organizations help to reduce healthcare costs for their patients? Dr. Gregory “Duke” Carlson from TexomaCare explains how he values face-to-face care and the methods he utilizes to maximize that time. With the assistance of eClinicalWorks, TexomaCare has implemented a team approach, helping to drastically improve the delivery of care and achieve ACO goals. eClinicalWorks provides TexomaCare with the tools they need to analyze their patient population and tackle the goals of Population Health. As an ACO, TexomaCare has successfully increased Medicare well visits, transition-of-care visits, and rates of compliance with measures such as pneumonia vaccines and diabetic foot exams. With the analytics necessary to identify high-need patients, the practice can tailor its deployment of resources for maximum clinical effectiveness. On January 1, 2015, the Centers for Medicare & Medicaid Services began the Chronic Care Management program, which reimburses providers for non-face-to-face care to patients with multiple, chronic conditions. 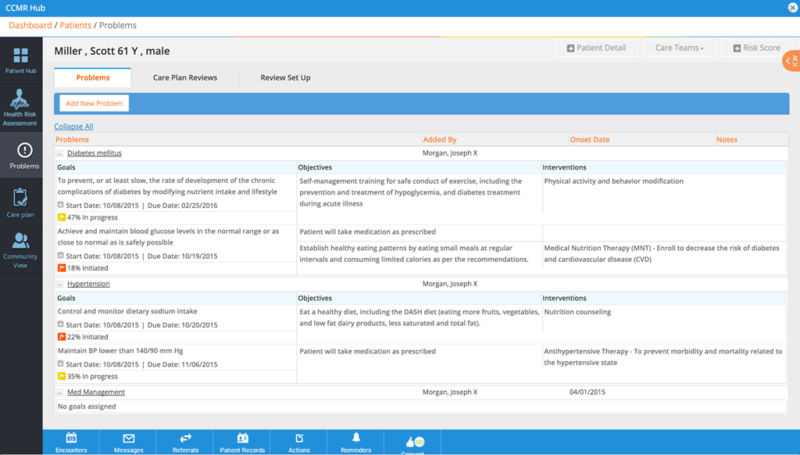 The CCM Module from eClinicalWorks helps physicians develop and implement care plans for eligible patients, and track the time they spend each month on each patient. TexomaCare has solved its documentation woes and improved office workflows by hiring advanced medical assistants, who assist providers by ensuring patients’ records are available and appropriate templates are ready when an exam begins. 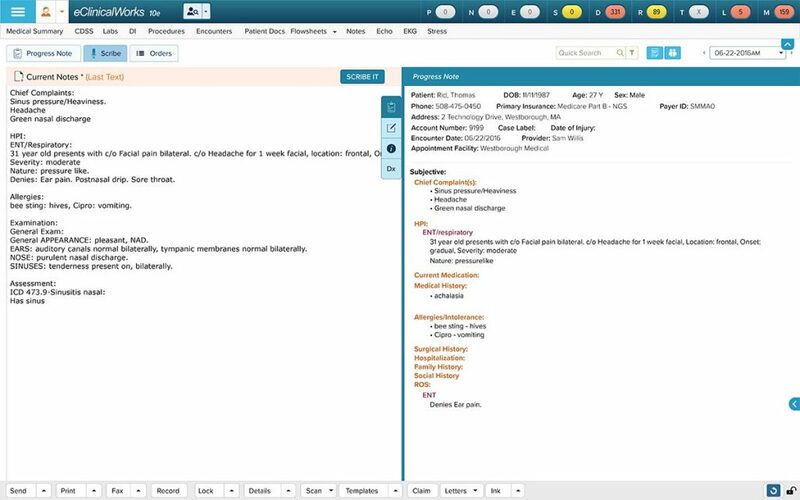 eClinicalWorks Scribe offers another option, allowing providers to generate accurate and comprehensive Progress Notes with speech-to-text software. Effective Patient Engagement tools are critical in an age of value-based medicine. 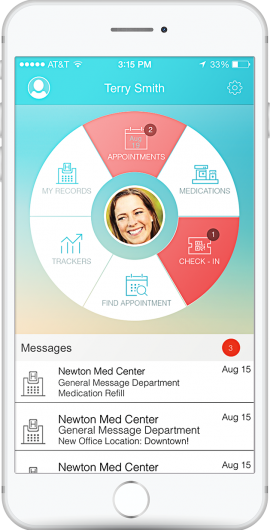 healow apps give patients a secure and convenient way to check their records and labs, exchange messages with their provider, and request appointments and prescription refills. At TexomaCare, open-access scheduling lets patients book openings in providers’ schedules, reducing clerical workloads while increasing patient satisfaction. Adam: Which strategies give doctors more face-to-face time with their patients? What does it mean to run a lean organization? It might mean hiring more staff. Plus, in a risk-based world, doctors will be responsible for what their patients cost the healthcare system. How can we get patients to help reduce those costs? On this episode of the eClinicalWorks Podcast we’ll attempt to answer those questions with the help of Dr. Duke Carlson, here at TexomaCare in Dennison, Texas. Dr. Carlson, thanks for being here. Dr. Carlson: It’s great to be here, Adam. Adam: So, we know face-to-face care is one of those really important components of practicing medicine for doctors, that patient-provider relationship is underscored by that face-to-face time. You’ve come upon a bit of counterintuitive way to get more of that face-to-face time. Can you tell us about that? Dr. Carlson: Yeah, you know I’ve been using an advanced medical assistant for quite a while, and what I find is when I have this extra person in the room that can perform a lot of the clerical activities that all medical EMRs require us to do, it really helps to prevent me from being distracted from my patient’s care. And so, for instance, if I’m seeing you for a problem and I need to prescribe a medicine, I can describe the medicine that I’m going to be prescribing for you, and this medical assistant can be actually prescribing, actually writing down the prescription, sending it to the pharmacy. If I’m going to be referring you to physical therapy, there they are. I describe that I’m sending you to physical therapy, they make it happen. If I’m going to give you some notes, some medical education material, the advanced MA is doing that, real time. And so I’ve had some pushback from some of my doctors thinking “Oh, I don’t want to have this extra person in the room. You know, it’s going to take away from the patient-doctor encounter.” I have not found that to be the case at all. They like the fact that I’m not having to do this and then do this, and then do this, and then do that. No. Now I can just, the flow is just wonderful. And then there’s also times that as physicians we forget little things. You know, so the beauty of a team approach to care, the Patient-Centered Medical Home and the team approach to care, we try to get all the members of our team to work at the highest level of their licensure. You know, most of our medical assistants can do these tasks if we expect them to do it and we train them how to do it. And then for me, I can be looking at you and I can be sort responding to body language and other cues that are going to make me a better doctor. As opposed to looking at a keyboard to make a clerical thing happen. You just forget less things, you know? So, I’ve got four tasks that I need to do that are sort of data-input tasks, it’s possible I’m going to forget one of those. Whereas, if somebody is doing it real-time when I’m seeing the patient, they are confident that it’s going to happen because they see that a clerical person is doing it, and I know it’s going to happen more often because as I’ve been using this advanced medical assistant I’ve got fewer callbacks. I’ve got fewer callbacks from the pharmacy saying you know “you didn’t call that medicine.” I’ve got fewer notes from my referral people saying “I thought this person was supposed to go to physical therapy.” So, at the end of the day, one of the things that really increases burnout for physicians is knowing that maybe you drop the ball a couple of times through your day. We don’t like that, we like to be perfect. And with this kind of assistance, you’ve finished your day and you feel much more confident that you’ve gotten all your tasks done and you’ve gotten the highest quality of care given to your patient. Adam: Maybe, a lot of the people who are watching this might commonly associate some of those responsibilities with a scribe. Although I think you’ve said that that’s not quite accurate. And that’s why you’ve come up with the new title there. But I think it’s really interesting that you’ve found that maybe the patient has more trust in the process when they have more people in the room, as opposed to just that very private patient-doctor relationship. That’s very interesting. Maybe some other people will find that as well if they implement that in their practices. Now, what are some of the benefits? You mentioned reducing burnout, you mentioned improved accuracy. Operationally, what are some of the other benefits that you see by implementing this additional person into your process? Dr. Carlson: Well, flow. So, I have two of these advanced medical assistants, so when I get out of the room, in general that assistant has picked the template for me. You know I confirm that that’s the right template, they’ve done most of the documentation. So, I come out of that room and the note’s done. Everything is taken care of, so I can go into the next patient room. And that advanced medical assistant there has the patient queued up, the templates up. They’ve done all the intake. If the patient needs, say, some hospital records from the emergency room, they’ve got those ready. Sometimes while I’m seeing the patient they’ll need some extra documents. They’re retrieving those documents from the hospital. So, I’ve seen an increase in productivity, and if you look at the numbers, usually a physician has to see about two to three extra patients per day, depending on their payment model, to pay for a scribe. So, I’ve seen, you know, five or six extra patients per day, depending on the type of patient. So, it’s been a win for me as far as financially. And then we’re in an Alternative Payment Model, in an ACO. One of our goals is to do more Medicare well visits, do more transition-of-care visits, and monitor our home health. So, my advanced medical assistant is helping with that. So, ordinarily in a busy day I might not get a chance to check to see if that patient’s had a Medicare well visit, but through the pre-visit planning and through her reviewing what’s going to go on with that visit, she’s checking to see if that patient’s had that visit before. So, before I go in the room she notices “Uh, this person needs a Medicare well,” and she’s got the template in and we’re off to the races. So, improvement on our pneumonia vaccines, our diabetic foot exams. These are the sort of quality indicators that a busy physician dealing with a lot of other problems may not think about. But my advanced medical assistant makes sure those happen. Adam: Now nothing can replace a person in that role, but eClinicalWorks clients can of course enjoy a few of those benefits with our Scribe tool, the appropriately named Scribe tool, which can help with a lot of the dictation and a lot of the flow, and a lot of the entry into those parts of the Progress Note that maybe slow people down. 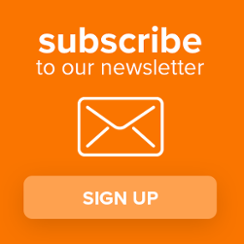 So if you’re interested in finding out more about Scribe you can go on to my.eclinicalworks.com or speak with your Strategic Account Manager. So you brought up the fact that you are in an ACO. Now there’s a lot of things that are measured in an ACO, a lot of things are tracked in an ACO. You brought up a few of those things and there’s also a lot of other physicians that are trying to do similar things. When they see you putting this additional person in and getting the results that you get, what do they say? Dr. Carlson: Well, you know every ACO has their own goal. When I think of an ACO, I think about not only quality cost and Patient Engagement, but really the last leg of the quadruple aim is reducing physician burnout. And so, you know, implementing a scribe appropriately can dramatically decrease burnout. And then, the Alternative Payment Model. You start thinking more about your more robust pre-visit planning. We, for instance, huddle each morning, that’s been very, very beneficial to do the pre-visit planning — to look at our schedule for the day, to look at patients that are going to maybe take a little bit of extra care, that they’re going to require extra documents or other services, and plan on that. Maybe we see someone that is going to be a simple follow-up, and we can put in a work-in patient. That has been very beneficial, and having a team talking that out, you know — me, my two advanced medical assistants —talking that day out before you start out is very, very beneficial. And we also, because some of you know the worry in an Accountable Care operation is that you got some of these really sick, these hot-spot patients, and how do you care for those hot spot patients? Not just when they are in the room, but how do you really track them over time? And so, we’ve got our hot-spot patient board, and so as part of our pre-visit planning and our morning huddle we go through that board and we just — look, I might have gotten a notification that a patient has been in the hospital or that they’ve been in the ER. So, I’ll task my MA if they have some time that morning to call that patient and make sure they’re taking their insulin, to make sure that their follow-up appointment is made. This is also around transition of care. We’re trying to make sure when a patient is discharged from the hospital that we get them in in two days so they don’t end up being readmitted and having problems. So, my medical assistant, this advanced medical assistant, can make those transition-of-care care calls, and then we’re able to build that follow-up visit at a higher level, which is beneficial. And we’re able to take better care of that patient, kind of moving towards that Patient-Centered Medical Home model. Adam: That’s a lot of increased information that practices didn’t used to have access to. You know when their patients wind up in the acute care settings and stuff like that. 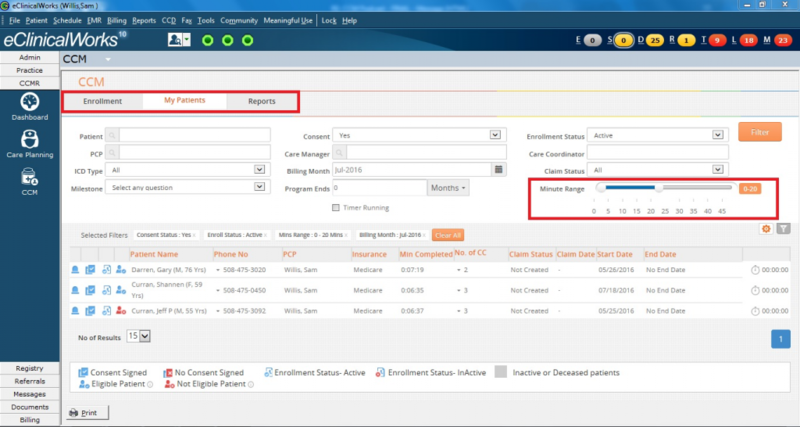 And of course, eClinicalWorks has done a lot to integrate features like partners, like Carequality and CommonWell, so that we can provide that same level of information to providers and join them up with those care networks that provide that type of information. Again, we can give you more information on that if you’re looking for it. So, you’ve mentioned Medicare wellness visits a few times, we know that that’s a really important metric for ACOs. It feeds into a lot of the operational stuff for an ACO. What is your success rate on Medicare wellness visits, and how do you get there? Dr Carlson: Yes, we just had an ACO meeting last night. And we had about half of our doctors that had been doing Medicare wells for a year, and half of them that hadn’t, and we saw a dramatic increase in the Medicare wells. And some of that was around creating templates in eClinicalWorks that were more intuitive and easier to use. Getting their medical assistants to try to see if a patient who’s coming in for just a routine visit, if that person hasn’t had their Medicare well visit, changing that routine visit — even a sinus infection, a urinary tract infection visit — making that into a Medicare well visit. So that’s really what you’ve got to do to increase the numbers. And that’s very important when you look at your benchmark as an ACO. So, many of these very healthy patients, if you get them in and A, you prevent problems by taking care of evolving issues, and B, you just take care of them and do that Medicare well visit, well, so their cost, their spend per year is going to be quite low, and so they’re going to help offset some of those really high-spend patients. And so, what we did was we looked at all of our patients that had been seen in the last two years and any of those Medicare patients, for instance, that hadn’t had a Medicare well, we’re getting them in for those visits. So, running a registry report, using the eBO tool in eClinicalWorks to find those patients, and then getting them in to be seen. Sometimes we’re sending Portal messages out to them. Sometimes we’re making calls, just kind of depends on the individual physician. Adam: So, you mentioned a lot of tools that help providers be proactive in their care, which I think is a huge shift that we’re seeing from the old fee-for-service model, playing catchup all the time like you were saying, to now being able to be proactive with things. Do that pre-visit planning, make sure we’re on top of things for the patient and prepared. And getting all that charting done. Those are all those tools, those are all things that are possible, in part I think, with tools that you mentioned. The registry, the eBO reports, Messenger to contact patients, and lots, lots more. So, in today’s world of risk-based care, ACOs that you’re a part of are able to coordinate resources, they’re able to enter into those risk-based contracts. They’re able to access claims data and things like that give them more insight. So ACOs are kind of being viewed as the forefront of this care delivery transformation. How are they accomplishing this transformation at the point of care? What are the differences that you are seeing in the way that the practice operates? Dr. Carlson: Yeah, so probably the most immediate thing that we’re doing is identifying those high-risk patients. So, we kind of had an idea who those patients were before, but now that CMS is sharing data with us, it makes a big difference. So, if I can have our analytics people run reports that show me who are the patients that have had two or more admissions, two or more ER visits, and their spend is over $10,000. So, I can find those 30 patients, and then I can put them on my board. You know, these patients are ones that we’re kind of, they’re going to be our VIP patients. We’re going to make sure that when they call they get an appointment right away. When they’re taken care of by home health, home health knows that they need to contact us right away. These are high risk, high chance for de-compensating patients, and so that’s probably the biggest thing that the ACO has done for us — let us recognize that instead of just taking care of the patient when they’re in the office, we really need to own them in all the different areas where they receive care. When they’re in emergency room, when they’re in the hospital. We’re trying to do more of the transition-of-care visits, so that takes a team approach, you know, that we’ve got to see these patients, and we’ve got to contact them. We’ve got to contact them within two business days and see them within seven days. I mean that’s a lot of logistics. So often you’ve got to coordinate with your partner and make sure if you’re on vacation that they’re taking care of these patients. And if you have that list of those hot-spot patients, you’re just going to be able to get your arms around these tasks a lot more effectively. And then using a tool like Chronic Care Management, the dashboard in Chronic Care Management. If you get these patients on that dashboard, you’re going to be able to create care plans for them, and you’re going to be able to have your team — you can have your Chronic Care Management team working on that dashboard, calling those patients, taking care of some of the care plan items. And they can communicate via some of the jelly beans with my advanced medical assistant. So, you know the tooled and eClinicalWorks really allow us to collaborate to achieve our ACO goals. 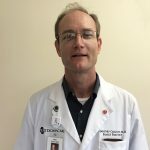 Adam: Now, some pages have started to warn patients that with a lot of these changes that are going on in the way that contracts are worked out with doctors and ACOs, that the patients may start to be on the hook, more and more, for some of the care that they’re receiving, especially in acute settings of care, like emergency departments, and hospitals, and things like that. What do you think is the best way to address that? Is that a services gap for the patient or is it an education gap, and how do we make sure we can bring the patient along with us with all the transformations that are happening in the office? Dr. Carlson: Yeah, I think it’s both. So, we have implemented currently for our ACO patients — but we want to do this for all of our patients — a 1-800 nurse line. So, they can call and they can have their questions answered and determine whether or not they need to go to an emergency room or an urgent care, or “Hey, Dr. Carlson can get you in the next day.” Having open-access scheduling has been a big, big win for us. So, using the healow app on the patient’s phone or their portal, they can look at my schedule and they can see “Oh yeah, Dr. Carlson had an appointment tomorrow at 9 o’clock.” “Click” and they can make that appointment. That, that’s a big deal, so we’re trying to get the technology and the workflows in our office to make it to where patients can stay out of the ER, stay out of those areas where, you know, potentially harm might be done. Because that’s just sometimes — ER doctors do things, do tests, that could eventually create harm. You know get those patients back to us and back into the clinic setting, back into their medical home where we really know them and can take the best kind of care for them. Adam: Well, and of course, with that 1-800 nurse line you have to get that word out to your patients. They’re not going to know that it’s there. So, there’s some sort of communication increase. We would call it marketing, I guess, that would happen. To let your patients know these things are there, they’re there to help them and this is how to use it. It sounds like it’s been working out pretty well for you. Dr. Carlson: Yeah, what we did initially is we made a video, because the patients don’t know what an Accountable Care Organization is. So, we made a video and we described this is what an Accountable Care Organization is, it includes “Ask Me 3” — just like here’s a way to become engaged with your doctor — and then it had the 1-800 nurse line. So, we sent that via Portal message to all of our ACO patients and so that was just a good way to kind of give them an introduction to what an ACO is. But there is still just a lot of work to be done. Handing out that sheet describes it with the 1-800 number every time they come in. Giving them that identification card, just kind of telling them “This ACO thing, it’s a good thing for you. This Patient-Centered Medical Home, it’s really going to be what you want as a patient and what you want for your family. Adam: And maybe what you need as a doctor. Dr. Carlson: And what we need, exactly. Adam: Well Dr. Carlson thank you so much for taking the time to speak with us. It sounds like you are pushing forward the standards of care everywhere you go. And we hope to see you continue that, we hope to be there with you to do more of that as well. If you’d like more information on any of the topics that we discussed here today, you can visit my.eclinicalworks.com or speak with your Strategic Account Manager and don’t forget to check out our other episodes on iTunes, YouTube and my.eclinicalworks.com. With the eClinicalWorks podcast, I’m Adam Siladi and thanks for watching.